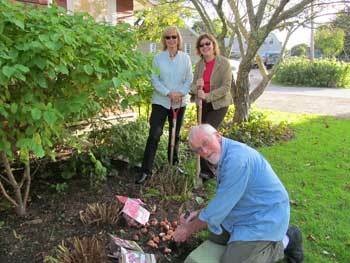 A member of the Knights of Columbus for many years, Jan now helps the local Rockland chapter in fund-raising efforts to benefit their church and community soup kitchen. He is also a member of the Ocean View Grange. Rosemary volunteers at the library and drives for the St. George Neighbor to Neighbor Ride Assistance Program, organized in 2013 to provide free rides for St. George residents who need them. 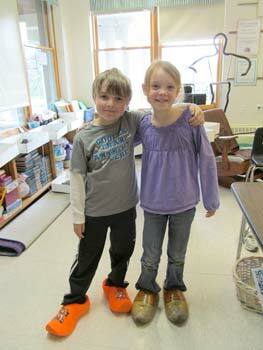 Sharing Dutch culture (and Jan’s wooden shoes!) with St. George School children.